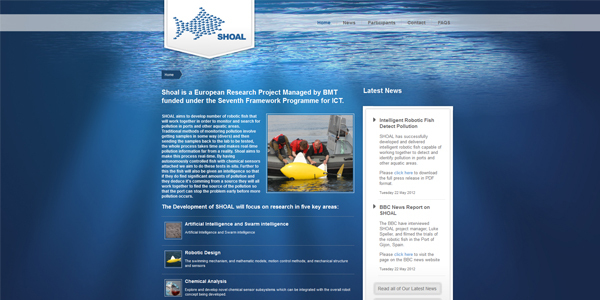 The Shoal Website was a Small project for the research department at BMT Group. The original design was done a few years ago and needed a quick revamp due to some recent press coverage. The website was designed and rebuilt in UMBRACO with a responsive layout, the responsive layout was not part of the original brief although I felt it would be beneficial considering the amount of traffic it may receive. 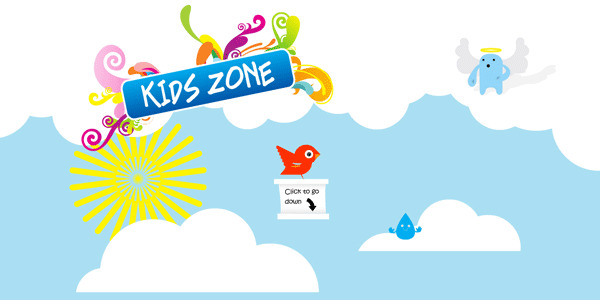 The Kids Zone is a full screen interactive digital playground designed as an application for the primary school websites at School Website. The whole application was designed and built by myself in Illustrator and Flash. The design is very playful and colourful designed for children to explore and play in a safe online environment. The application offers a small world that has fun animated elements, integrated flash games and links. 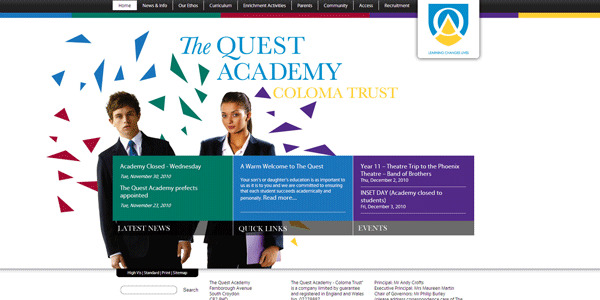 The Quest Academy website was built along side the prospectus as part of the schools branding. The website is integrated in to a full content management system that allows the school to keep the website up to date. The school required the design to be contemporary but still wanted retain its prestigious image. 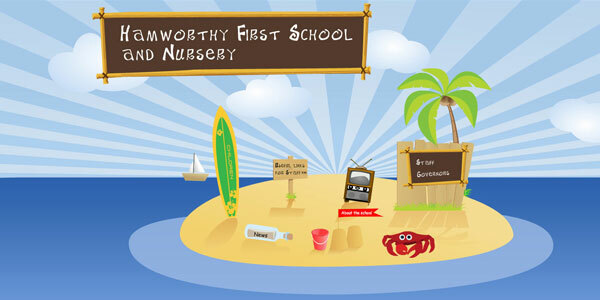 Hamworthy First School and Nursery required a design that reflected the schools heritage and location, as the school is situated on the coast the design is a playful take on the area surrounding the school. The design consists of an interactive splash page that is built in flash. The content pages are HTML templates that are integrated in to a content management system. I love interface designer and have a huge passion for interaction design & user experience architecture. I am firm advocate of web standards & enjoys talking design with anyone who cares to listen. A lot of my work includes design and build of clean, stylish and effective projects that range from web interfaces and interaction design methodologies to highly polished pieces of print work. My skill set typically involves user interface design and development, interaction design, user experience architecture, XHTML, CSS, Flash, typography and the odd bit of traditional print design.